It is exhausting. Crisis after crisis. Disaster after disaster. The need is never-ending, and the funding requirements enormous. You could be forgiven for thinking it is all too much to cope with. Every day we see the very worst of what people can do to one another, and the very worst conditions that people are forced to survive in. I am exhausted. And it’d be very easy to give up, if I didn’t know that children all over the world need us to keep going. We can save lives, and we can stop some of the most vulnerable children in the world from dying a terrible, preventable, death. There is no better reason to keep fighting. Right now, Yemen has it worse than almost anywhere on the planet. 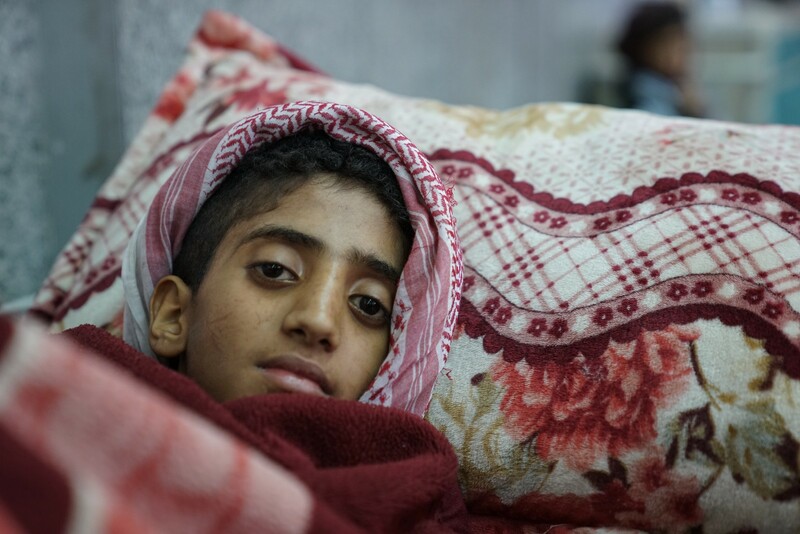 At least one child dies every ten minutes in Yemen, due to preventable causes. And with no clean water, more children are getting sick each day. But, in comparison to devastating floods in Nepal, or fatal mudslides in Sierra Leone, in Yemen, we can do something to prevent deaths occurring in the first place. Yemen is broke, and broken. Its Government is locked in a long-lasting and brutal civil war. Its infrastructure is unable to cope after years of conflict and neglect. And when water and sanitation goes, cholera is never far away. It is a disease more commonly seen the the middle ages than in the 21st century. In just three months hundreds of thousands of people have contracted this potentially fatal illness. Without treatment, the mortality rate is around 50–60 per cent. With certain strains, death can occur within hours. 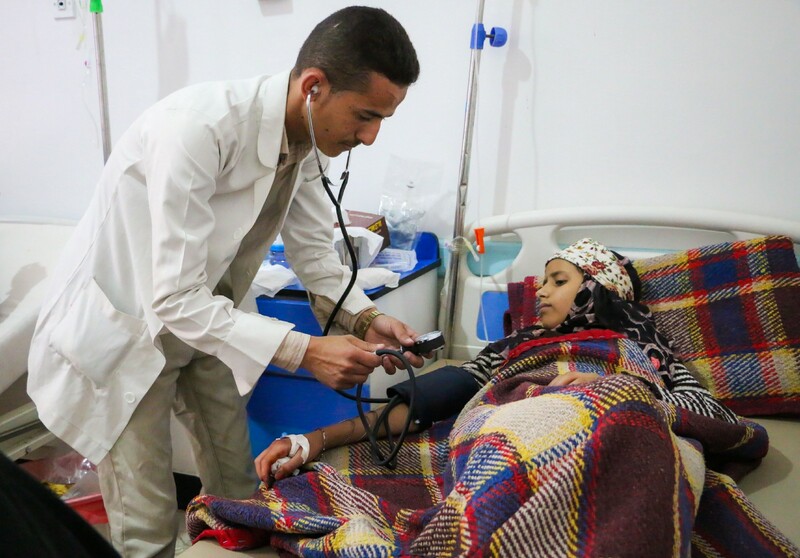 With Yemen’s cash-strapped authorities unable to do so, UNICEF has started paying doctors and nurses, many of whom have not received salaries for over ten months. It’s not the usual way of doing things, but it’s what has to be done. We’re not going to let kids die. Still, you could be forgiven for feeling a bit bombarded by the need. Across a huge swathe of Africa, millions of children and their families are struggling with drought, or conflict, or displacement, or disease. In Yemen, families are suffering from all four. Yemen is suffering from the world’s worst cholera outbreak in the middle of the world’s largest humanitarian crisis. So far UNICEF has helped provide 5 million people with clean water. We’ve administered four million sachets of oral rehydration solution to treat people battling with cholera, and almost a million bags of intravenous fluids. This is not a natural disaster. 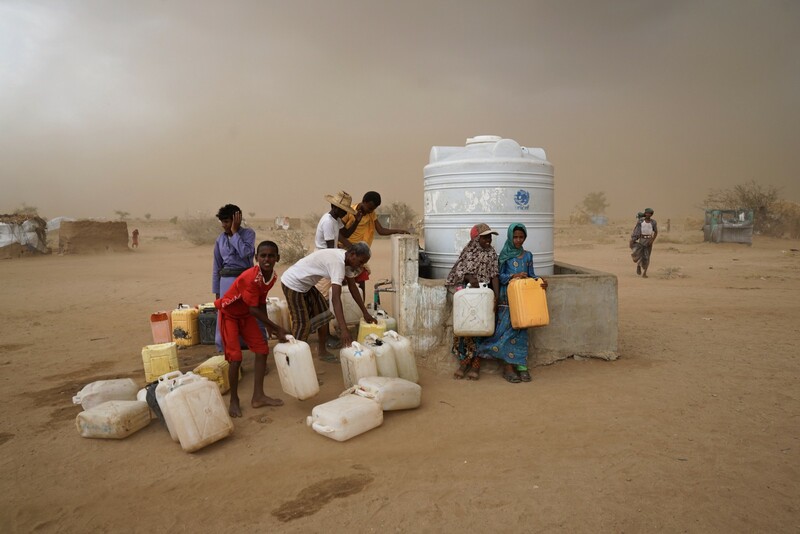 Like many of the emergencies across the Horn of Africa, it is one being exacerbated by fighting. And it is children — babies — who are being hurt. UNICEF has loudly and regularly urged all sides in the conflict to consider the war’s impact on children. UNICEF’s Geert Cappelaere meets one of the children receiving treatment for cholera. “What I’ve said to both sides is, ‘Sorry but you still seem to have money to fight. If you have money to fight, you should be able to pay your doctors, you should be able to pay your nurses,’” said Cappalaere. With UNICEF’s assistance, the fatality rate is now less than 1%, but the numbers of people being treated are still astronomical. By the end of July 436,625 cases of cholera had been recorded, with 1,918 deaths. But the job isn’t done. The challenges remain enormous. Yemen is on the brink of famine, with over 60 per cent of the population not knowing where their next meal will come from. 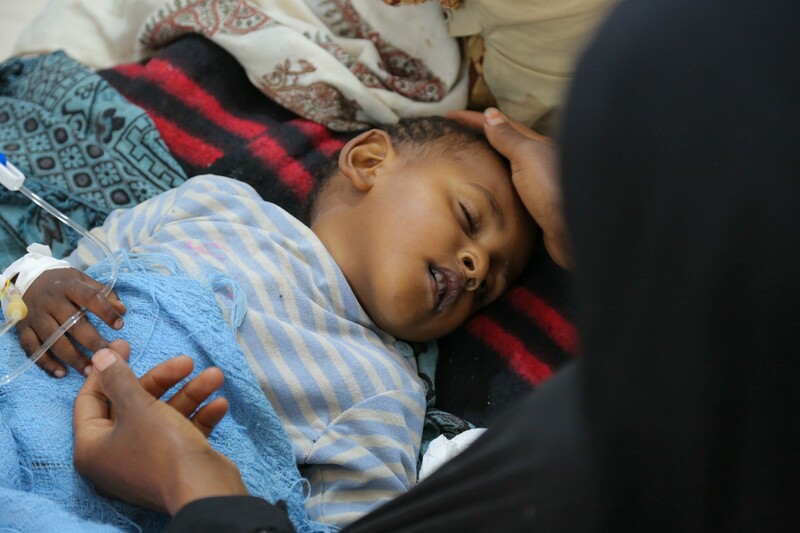 Nearly two million Yemeni children are acutely malnourished. There is a terrible cycle that takes place in situations like this. Malnutrition makes children more susceptible to cholera; diseases create more malnutrition. These children don’t need much. They need water. They need food. They need medicine. This is how we can help. Children don’t need to be caught up in this war. They don’t need to starve. We don’t need to accept the deadly presence of a disease that belongs in another century. And there is never a time that we can stand by and abandon those children. This is not the time to give up.